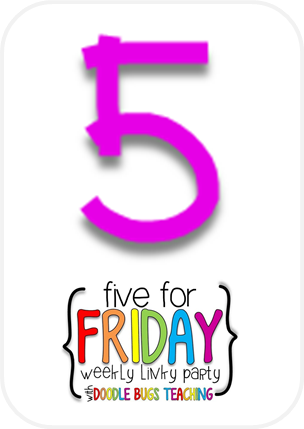 A Chocolate Dudley: Five For Friday and Ending my Blogging Hiatus! 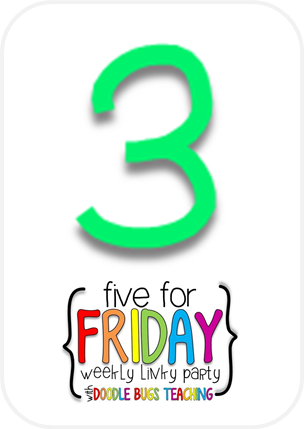 Five For Friday and Ending my Blogging Hiatus! Today, the Chocolate Dudley himself and I returned from the vet (per the usual), only to find a package from DELL awaiting in between our two side doors. AHHHHHHHHHHHHHHHHHHH!!! 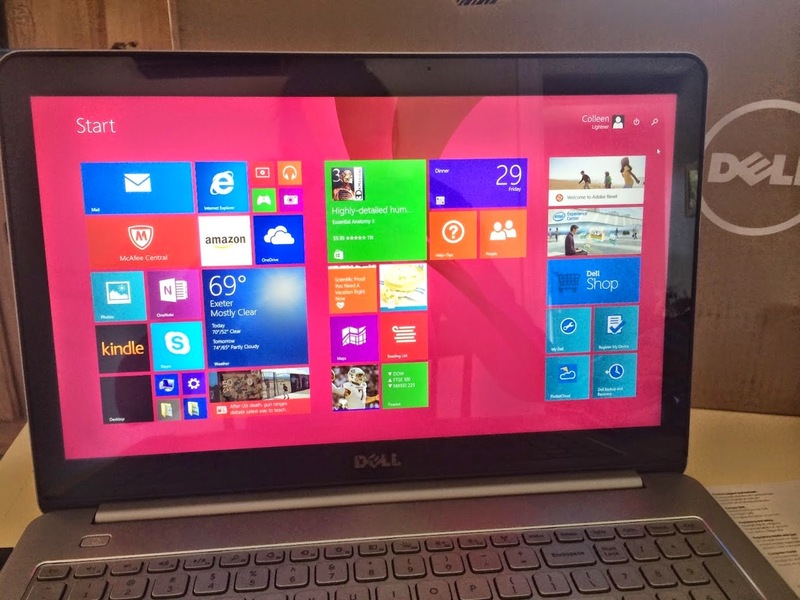 I have been waiting and waiting and waiting for several months for a brand new laptop, but kept putting off ordering a new one due to the expense. I have to say, Windows 8.1 is quite different, and it's going to take a bit of getting used to, but so far so good! 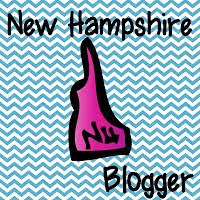 By the way- I am writing this post, while LAYING DOWN in bed and the computer is UNPLUGGED! Can you believe it? I forgot what this was like! No more overheating and shutting down if I ever so slightly move the power cord just one millimeter! Even though I am back working, I have to say, I really am still LIVING the LIFE! Since I only stay at school 'til 11:30 each morning, I have plenty of time to hit up the beach while the summer weather sticks around. Check out the pictures below from this past week, on the first FULL day of school for first graders! Those poor kiddos had a longer day than me! It's very strange for me to walk out in the middle of the day. I feel guilty and as if I'm sneaking out... Can I really just leave and walk out like that?! So far this new schedule has been the perfect mix- allowing me to participate in my passion, but also stay super stress-free! 1. 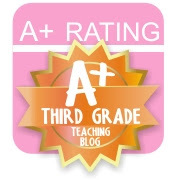 First graders are big into hugging, especially when sad, and love to sit on adults' laps. So incredibly sweet! 2. They're criers. Many of them miss mommy and daddy during the first week or so, and some completely panic after leaving a teddy bear on the bus. Precious! (I definitely had my fair share of criers in third grade too, though). 3. They never know if they brought their lunch to school or if they are buying hot lunch from the cafe, even though they peaked in their lunchbox an hour beforehand during snack time! 4. Many of them panic when asked to write their last name, despite the fact it is spelled RIGHT in front of them on the nameplate on their desk! Haha! 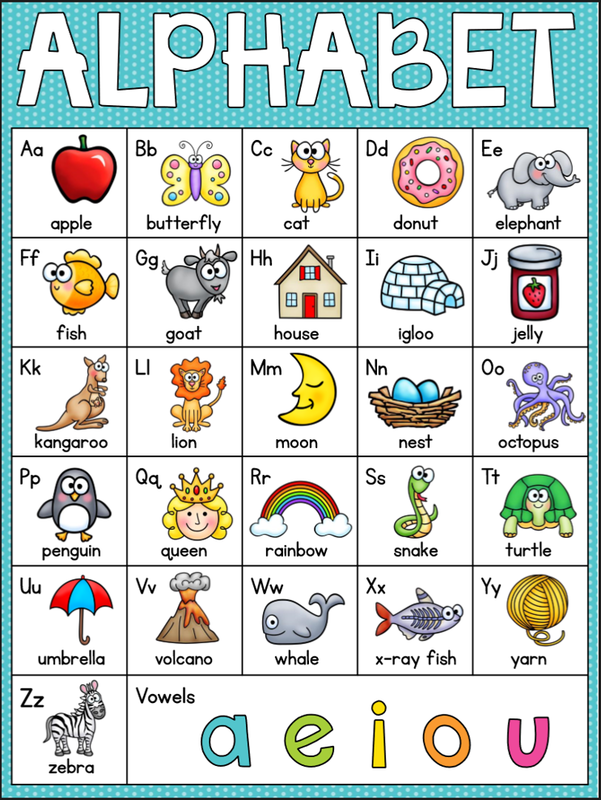 I plan on printing out this great Alphabet Chart included in "Phonics Charts for Guided Reading and Writing" by Haley O'Connor. It's super cute and FREE! 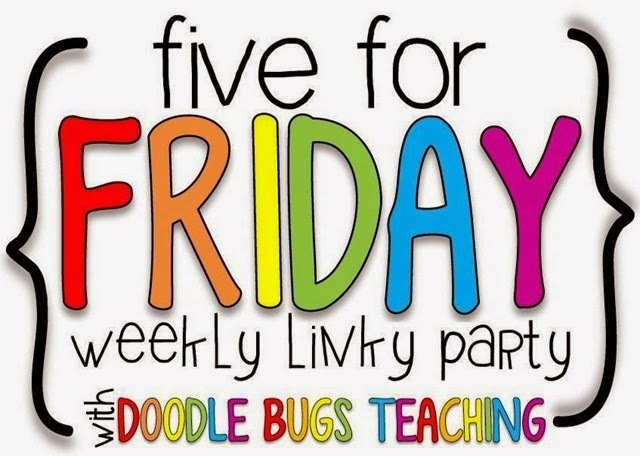 The resource also includes charts with digraphs, blends, vowel teams and r-controlled vowels! 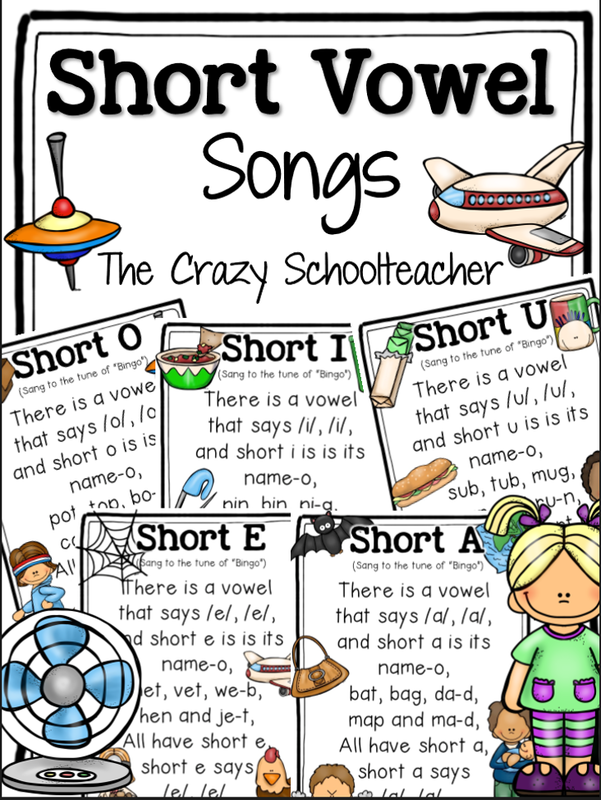 These short vowel songs sung to the tune of "BINGO" by The Crazy Schoolteacher should also be useful to some of my kiddos as they aren't so hot with their vowel sounds. 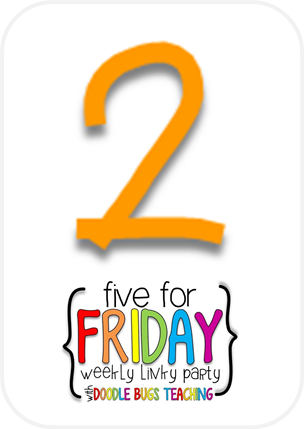 This resource is F-R-E-E as well, and great news- The Crazy Schoolteacher also has a Long Vowel Songs freebie! Last but not least for today, the classroom teacher I am working with has a great little set-up for student work that needs to be turned in. Next to the basket she uses to collect completed work, is a sign and a bucket of yellow highlighters that remind children to highlight their NAME on their papers. 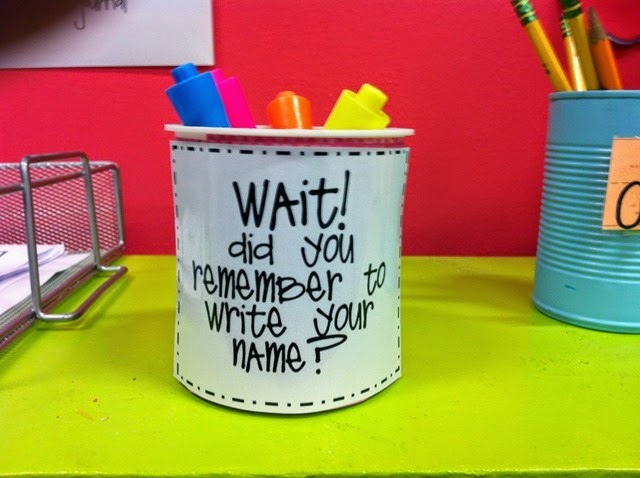 This is a strategy I could for sure bring into an upper elementary grade as I know all too well how my third graders (and fourth) consistently skipped writing their name on their work, which can be very frustrating! 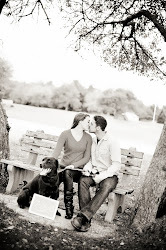 I wish the picture below was from the classroom I work in, but this Pinterest photo will have to do instead. 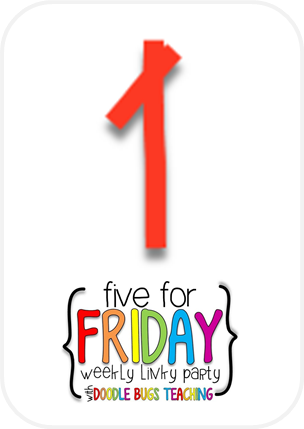 Enjoy your LONG weekend, everyone! 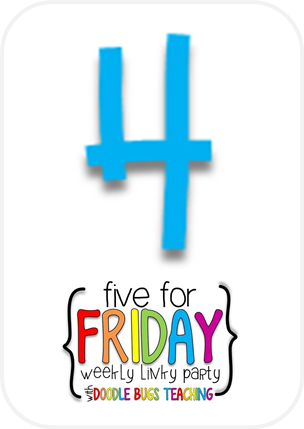 If you're interested in linking up to the party, click on the "Five for Friday" button at the top of this post!